With a well-deserved reputation for being one of America’s top food cities, the New Orleans culinary scene is stronger than ever. A mix of traditional and innovative flavors from all over the world, NOLA is the place to host an event that revolves around food. Come for all the learning and networking that Catersource has to offer, and stay to tantalize your taste buds while you enjoy a few energizing days away from the office. The days are fun and productive, but when the daily conference high begins to wane, don’t you deserve a nice hotel to return to at the end of a long day on your feet? YES, YOU DO! Act now and book your hotel stay for Catersource 2019 before the best properties fill up and special rates expire. Your future self will thank you. Catersource has designated Convention Management Resources (CMR) as the official hotel provider for 2019 to help you secure exclusive hotel room rates (some with savings up to 50%) at some of the best hotels and properties in the area—many within walking distance to the convention center. Be sure to book your hotel reservations through CMR to receive quality service at the lowest rates available. Contacted by someone else besides CMR? Please let us know! Note: Any websites or outreach outside of Convention Management Resources (CMR) are fraudulent and not official partners of Catersource. Louis Armstrong New Orleans International Airport (MSY) is Louisiana's primary commercial airport serving over 80 percent of all passengers flying into the state. Located 12.2 miles from the Convention Center, there are options for shuttles, taxis, and public transport services. Located in the heart of New Orleans, the Ernest N. Morial Convention Center is easily accessible from I-10. Ample parking is available at the Convention Center for a daily fee. Overnight parking is prohibited. Shuttle services are available from the airport, transport to and from hotels, and even to the Convention Center. New Orleans’ streetcar system is a charming way to explore the city, and you can easily rent bikes, hop a bus, take a ferry, or call a pedicab, taxi, or car service. Sure, we’ll be in a hurry to get back home and put all our newly-acquired insights to work. But keep in mind that the tradeshow closes at 3 p.m. on February 27, and we’ve got a jam-packed program to the very end. 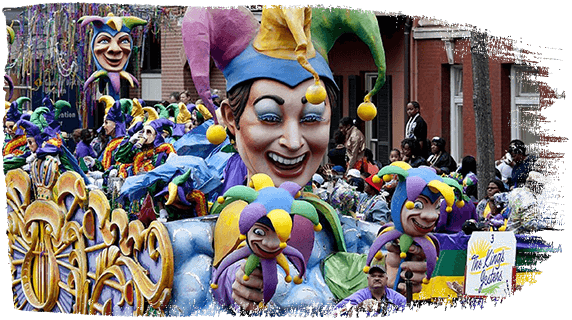 Be sure to stick around so you don’t miss a thing…heck, maybe Mardi Gras is on your bucket list, so tack a few extra days onto your trip and make it the most unforgettable work trip ever!